The delegation of the Bolivarian Republic of Venezuela, in the exercise of the Pro Tempore Presidency of the Non-Aligned Movement (NAM), intervened in the consideration of Item 55 of the Agenda on the “Report of the Special Committee to investigate Israeli practices that affect the human rights of the Palestinian People and other Arab inhabitants of the occupied territories”, developed on Tuesday in the framework of the Fourth Committee of the General Assembly of the United Nations (UN). From the headquarters of the UN, in the city of New York, the 120 member states of the NAM expressed their regret at the growing deterioration of the human rights situation in the Occupied Palestinian Territory and the serious humanitarian crisis in the Gaza Strip as a result of the illegal Israeli blockade, as reflected in the report made by the Special Committee. “The Movement reiterates its deep concern that Israel, the Occupying Power, continues to refuse to recognize and cooperate with the Special Committee, preventing it from observing from firsthand the human rights situation on the ground, holding consultations with the relevant Israeli authorities, and having access to victims in the Occupied Palestinian Territory and in other Occupied Territories, within the framework and in compliance with its mandate, as required by the General Assembly of the United Nations”, said the alternate ambassador of Venezuela to the UN, Henry Suárez . 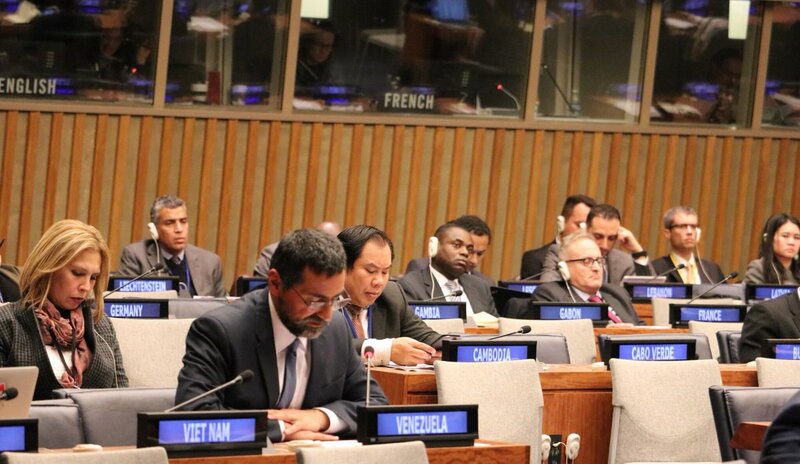 The Venezuelan diplomat, in the name of NAM condemned the continued illegal expansionist activities, that violate the international law, of Israel in the Occupied Palestinian Territory, as well as in the occupied Syrian Golan, which have seriously worsened the humanitarian conditions, further destabilizing the situation and aggravating tensions. In this regard, he urged Israel to put an end to the illegal blockade and to open all border crossings, in accordance with international humanitarian law and with all relevant resolutions of the United Nations. In addition, the concern for the conduct of the Occupying Power who refuses to be held accountable for human rights violations, international law and UN resolutions, which they have committed in the Palestinian territory, was reiterated during the meeting, at the time that NAM called upon the international community, and particularly the Security Council, to take urgent measures to compel Israel to comply with its obligations under international law. Finally, the Movement of Non-Aligned Countries, in accordance with the decisions adopted during the XVIII Ministerial Conference of the Middle of the Period, held in the Republic of Azerbaijan, highlighted the urgency of reaching a just, lasting, comprehensive and peaceful solution to the Palestinian-Israeli conflict over the basis of the solution of the two States, in the pre-1967 borders.